Wired Poodle » Blog Archive » Birthday! 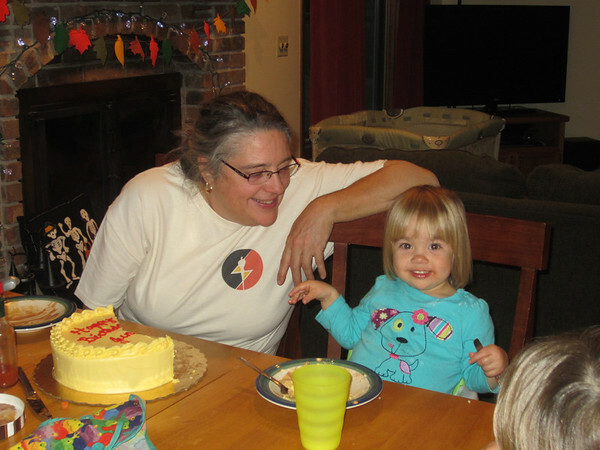 June will be TWO years old on the 18th, but since Granny and Grumps were coming to visit, we had the first of her birthday celebrations. 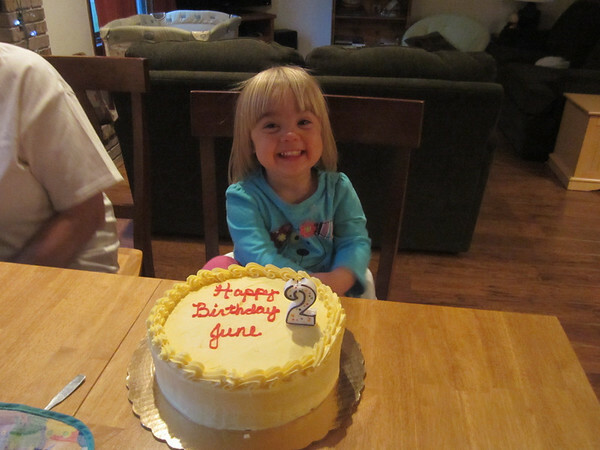 I almost think her favorite part was when everyone sang to her… at first she wasn’t sure what was going on, then she realized that all the fuss was for her. 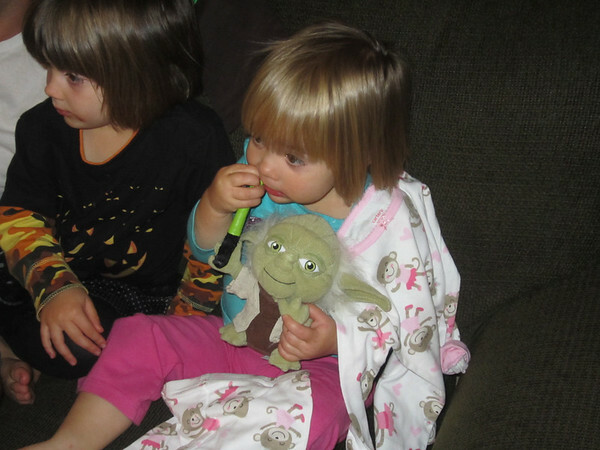 She opened up new monkey pjs, which she had to put on immediately, a new monkey shirt/pants, and a stuffed Yoda, whose light-saber is perfect for gnawing.